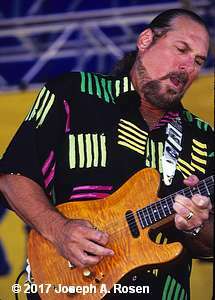 The AllMusic Guide calls Steve Cropper “probably the best-known soul guitarist in the world.” In 1996 England’s Mojo Magazine proclaimed him number two guitarist of all-time. Jimi Hendrix was number one. Rolling Stone magazine readers voted him among the Top 100 Guitar Players of all-time in 2003. 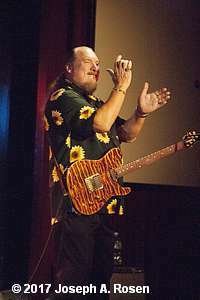 Nearly 60 years into a career he started as a hit making teenager, guitarist Steve Cropper is best known for doing for The Blues Brothers and Memphis soul what James Burton did for Elvis Presley and rock and roll in general. Cropper codified a sound that music fans the world over hear in their minds when they think of Memphis soul. While Motown smoother out black rhythm ‘n blues, turning out chocolate milk for the masses and putting Detroit on the map as an urban center for original sweet soul music, the Stax-Volt sound retained the edge of America’s black musical roots. 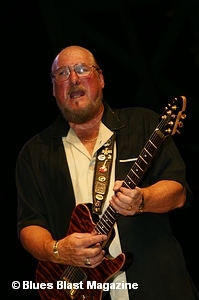 Steve Cropper appears on every record Stax put out from 1961 to 1970, and he wrote or co-wrote most of them. If Sun Records’ Elvis put Memphis on the pop music map in the ’50s, it was Stax-Volt that reinstated Memphis’ stature as the home of music that made America shake to its core. 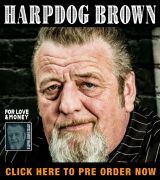 His guitar was and is the special sauce slathered on a full rack of ribs that tweaked the Memphis sound. 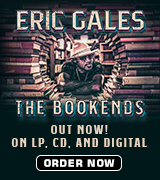 His strings are as funky as Muddy Waters’ Delta blues and as rich as America’s jazz heritage. And it was Cropper who was the center piece that re-activated American music fans’ slightly dangerous sweet spot following the rise and subsequent whitewash of rock and roll. If Motown was choreographed dancing, pastel jump suits, and smooth vocal harmonies, Stax-Volt was dark glasses, strident screams of sensual rapture and the essence of forbidden fruit that white mothers feared would infect their teenagers. Ironically, at the center point of this phenomenon was Cropper, a six-foot-six white teenager. As Stax-Volt’s resident guitarist, songwriter, producer and performer, Steve Cropper was ubiquitous in formulating the sounds of Otis Redding, Sam and Dave, Wilson Pickett, and Albert King. He was Booker T.’s partner with the band The M.G.s in creating “Green Onions,” the funkiest, most instantly recognizable soul instrumental of all time. It went number one on the R&B charts and number three on the pop charts in 1962. Cropper at the time didn’t realize that it would become as iconic as it has, but he says today that he knew it was a hit. Cropper was the glue that held Booker T. and The M.G.s together. The genesis of that band and the Stax label was a group called The Mar-Keys whose 1961 instrumental hit “Last Night” went top 5 on both the pop and R&B charts on Satellite Records which later changed its name to Stax. Cropper was 19 at the time. He would go on to produce records for Otis Redding, Wilson Pickett, and Eddie Floyd in a career that includes accompanying Rod Stewart, Art Garfunkel, Stephen Bishop, Neil Sedaka, Rufus and Carla Thomas, Jerry Lee Lewis, Kenny Rankin, Levon Helm, Johnny Taylor, and Elvis. While at Stax Cropper co-wrote “Greens Onions” and “Hip Hug-Her” for Booker T. and The M.G.s, Eddie Floyd’s “Knock on Wood,” Wilson Pickett’s “In The Midnight Hour” and “635-5789″ plus “Dock of The Bay” and “Fa-Fa-Fa” for Otis Redding. “The first time I heard Otis sing “These Arms Are Mine,” my hair stood up. I grabbed Jim’s (Jim Stewart, Stax founder) shirt and said, ‘Jim, stop whatever you’re doing. You gotta come and hear this guy sing,’ and Jim looked at me and said, ‘What? I don’t have time to go hear someone sing.’ Then, he (tried) to put the band together to record the song running out on the sidewalk and said, ‘Duck (Dunn, bass player), get your bass back out here,’ and I was putting the bass in my trunk getting ready to go home. It was the greatest voice I’d ever heard. Cropper is one of a select group of songwriter/musicians who can write songs that each are unique enough that, when taken collectively, can qualify as a whole genre of music. You can easily imagine his repertoire being the work of a much larger cadre of musicians. And yet he is largely responsible for creating – or co-creating – the entire Memphis soul lexicon. I asked him how he feels when people say he invented soul guitar? Not only were Akroyd and Belushi white comedians doing the blues, but that “first-rate” band was bi-racial. Cropper is featured in a film currently showing at the Rock and Roll Hall of Fame commenting on how the racial atmosphere in Memphis changed following the death of Martin Luther King in 1968. In our interview he speaks about how the band members remained color blind after that tragedy. “I don’t think (Marin Luther King’s death) changed very much attitude in the studio itself. What changed was the attitude outside, and that was pretty devastating because I think most of the guys that worked there weren’t very comfortable outside the studio. The only difference was when you walked into Stax everything changed. You just left all your problems and all that stuff outside. You had a great day in the studio, and when you walked back out you might have to relive some of it again, but everybody was in the studio for the same reason, to make a hit record, and there was no color whatsoever. “We took a lot of the flak,” says Cropper about the critical reaction to The Blues Brothers, “and then we had to learn as we went that Belushi used to front a band. He was a drummer and a singer, and he was very good at it, and Akroyd actually did play harmonica. I mean he didn’t have somebody else play for him, and fake it in the movie or nothing. He did it, and I think that was told on stage, too, because they had to go out and perform that stuff. And a lot of press and so forth did not want to accept the fact that when Belushi or Akroyd could do anything other than just act and be on TV and movies. Cropper has been touring with a current version of the Blues Brothers Band for 15 years and recently released The Last Shade of Blue Before Black on Severn Records. While calling itself The Original Blues Brothers Band, the only original member is Cropper himself. Sax player Lou Marini was in the original touring band. John Belushi died in 1982, and Dan Akroyd does not appear on this record. That said, Matt Murphy and Paul “The Shiv” Shaffer make appearances and special guests include Dr. John and Joe Louis Walker. The recordings were all made live in the studio and vocal chores vary from cut to cut. “You know, the funny thing about the album. We’d been threatening to do it for so long knowing that we needed one, and finally we said, “We’ve been together now a little over 15 years with the present members of the band.” I just thought it was necessary. “These guys are seasoned musicians. They’re in the business, so it was easy for everybody to follow, and most of the guys in the band play all the time on the stage when they’re home and not on the road with us. We’ve been out there on the road since February of this year. So, I’m kinda glad to be home for a while. History has repeated itself so many times in my career as a music journalist. Passionate music that reveals the inner soul captures a niche in the marketplace and then a style comes along to make that “real” music palatable to the masses. Motown created some great music, but it was polished for a mass audience, but Stax became the yin to Motown’s yang taking the listener back to the bone. 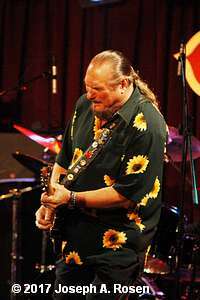 I’ ve always loved Steve Cropper because he led that charge. Still, he tips his hat to Berry Gordy’ s Motown. “Technically, Berry Gordy and them were going after the pop charts. Stax was going after the R&B charts. Yeah, we got lucky every now and then getting on the pop charts. A lot of Berry’s music because if the nature got on the R&B charts, but he was going after the pop charts. “There was a part that Stax wanted to go after the pop charts, but they failed miserably in a lotta places. However, when people like Aretha Franklin covered a song, it went up the pop charts. She had a number one record with “Seesaw” (on Atlantic Records in 1968), a song I got to co-write with Don Covay and recorded the first version with him at Stax, but there weren’t many (number ones).